Do you know the true purpose of the vaults? Of course you do! Any true Fallout fan knows the purpose of the infamous Vault-Tec vaults. Right? We have compiled a list of vaults from all Fallout games and their purpose. Please note that we left out a couple of vaults because they were not worth mentioning. Officially, the vaults were nuclear shelters designed to protect the American population from nuclear holocaust. However, with a population of almost 400 million by 2077, the United States would need nearly 400,000 vaults that could shelter 1,000 people each. Guess what? Vault-Tec was commissioned to build only 122 such vaults. Why? The government, and Vault-Tec, never really believed an actual nuclear war would occur; the real reason for the existence of these vaults was to run social experiments on pre-selected segments of the population to see how they react to the stresses of isolation and how successfully they recolonize Earth after the vault opens. 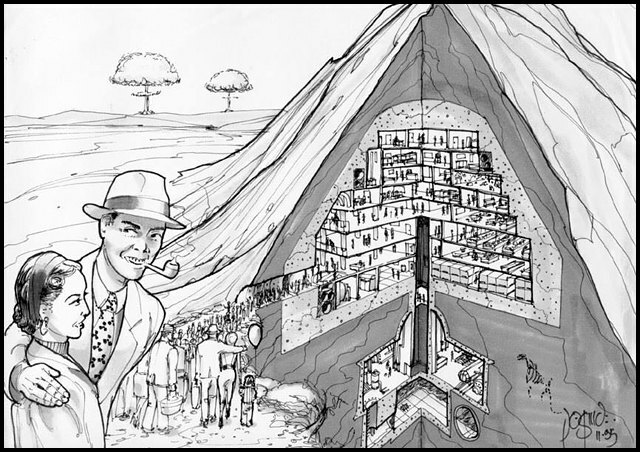 The Enclave, responsible for this grand experiment, the Societal Preservation Program, considered themselves prime candidates for recolonizing the world after a nuclear holocaust and therefore commissioned the construction of their own shelters, isolated from the vault network. 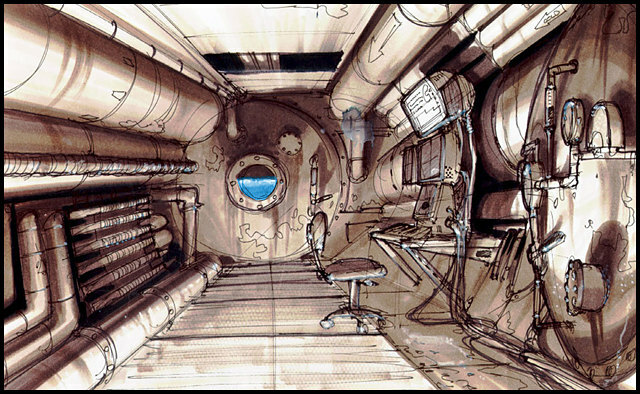 The purpose of the vault experiments was to help prepare the Enclave for either re-colonizing Earth or colonizing another planet if Earth turned out to be uninhabitable. Here's a list of the most interesting Vault-Tec vaults from all Fallout games, and their purpose, known only by their Overseers. LA Vault - This was Vault-Tec demonstration vault. Not part of any experiment, was the Master's vault under the Cathedral in Fallout. Remember it? Vault 3 - This vault was designed to open after 20 years, but its residents decided to stay locked longer. One day, a water leak forced them to open the vault door, hoping to trade with the outside world. Unfortunately, all of the vault's inhabitants were butchered by a group of Fiends. Vault 6 - Once a day, small doses of radiation were leaked into this Vault-Tech vault. Eventually, its population turned into feral ghouls. Vault 8 - A control vault, became Vault City when it opened in 2091, after receiving the all-clear signal from the Enclave. Vault City was built around Vault 8, using its fusion generator as a power source, and a GECK to create its infrastructure. Vault 11 - This Vault-Tec vault was a social experiment, testing human nature: the potential to sacrifice oneself for others, and the power to place beliefs above one's own life. Vault 12 - Another vault into which radiation was leaked to study its effects over population. However, unlike Vault 6, the vault door was designed not to close properly. This is Necropolis, the underworld where ghouls roam the land freely. Vault 15 - This Vault-Tec vault stayed closed for 50 years and sheltered people of completely different ideologies. Vault 15 was the birthplace of Shady Sands (later to become the NCR). Vault 17 - Unknown purpose. The vault was raided and its residents were taken prisoners by the Master's Army and turned into super mutants. Vault 19 - Another social experiment, the population in this vault was separated into two groups, Red and Blue. The groups lived in separate sections of Vault 19 and the inhabitants were chosen due to their pre-existing paranoia. Fun, fun, fun! Vault 22 - Another experimental Vault-Tec vaults. Advanced agricultural research was conducted here to create strains of plants that could grow under artificial light. The experiment goes terrible wrong and a spore either killed or transformed this vault's inhabitants. Vault 27 - This vault would be overcrowded deliberately. 2000 people entered this vault, which was double the normal sustainable amount. Vault 29 - No one in this vault was over the age of 15 when they entered. Parents were intentionally redirected to other vaults. Harold the "Talking Tree" comes from this vault. Vault 34 - This vault's armory was overstocked with weapons and ammunition but not provided with a lock. If you visited Nellis Air Force Base, know that The Boomers descend from the inhabitants of this vault. Vault 43 - Population: 20 men, 10 women, 1 panther. I don't see the reasoning here... but you gotta admit this is a really interesting Vault-Tec vault. Vault 53 - Most of this vault's equipment was designed to break down every now and then. While repairable, the breakdowns were intended to stress the inhabitants to study their reaction. What a fun experiment! Vault 55 - All entertainment tapes were removed. Wait, whaaat? No Justin Bieber? Vault 77 - Populated by one man and a crate full of puppets. This has to be the weirdest of all Vault-Tec vaults. Hint: in Fallout 3 you can find a Vault 77 jumpsuit in Paradise Falls. Vault 87 - A FEV research and testing facility. That's were the Lone Wanderer finds Fawkes. Vault 92 - Renowned musicians lived in this vault, a test facility for a white noise-based system for implanting combat-oriented posthypnotic suggestions. Vault 101 - Evaluation of performance of an "all hail", dictatorial Overseer in a sealed environment. This vault was intended to never open. This vault is your home in Fallout 3. Vault 106 - Psychoactive drugs were released into the air filtration system several days after the vault door was sealed. Vault 108 - This Vault-Tec vault had a cloning lab and its residents are clones of one man called Gary. Gaaaary! Vault 112 - Home of the Tranquility Lane VR sim, this is where you find your dad in Fallout 3. Vault 0 - A special vault designed to "monitor and control" the other vaults. Inside, the geniuses of the prewar United States were kept in cryogenic stasis and a robot army. Secret Vault - A secret vault dedicated to protect high-members of Vault-Tec and research the latest technologies (like electrical laser weapons and instant regeneration) and the FEV. Now you know more about the Vault-Tec Vaults. Which one is your favorite vault? 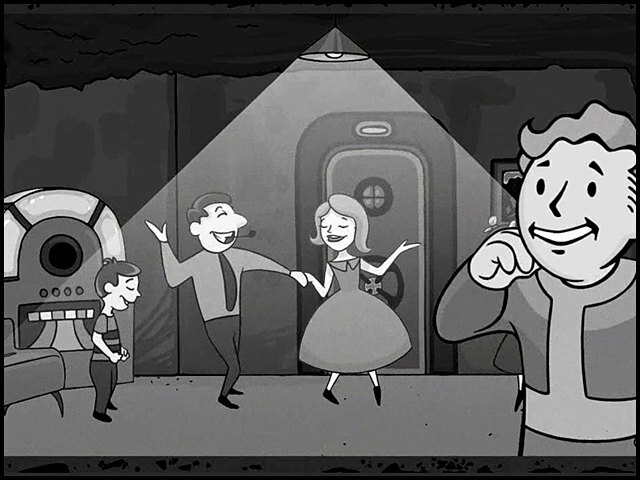 Personally, I like Vault 8, since they all survived and thrived in the wasteland as the famous Vault City. Want more Fallout Facts? « Check out that Website.